Beautifull modern house with 3 bedroom with modern finishes. beautiful sunsets. Green surrounding . Very good sun exposure. 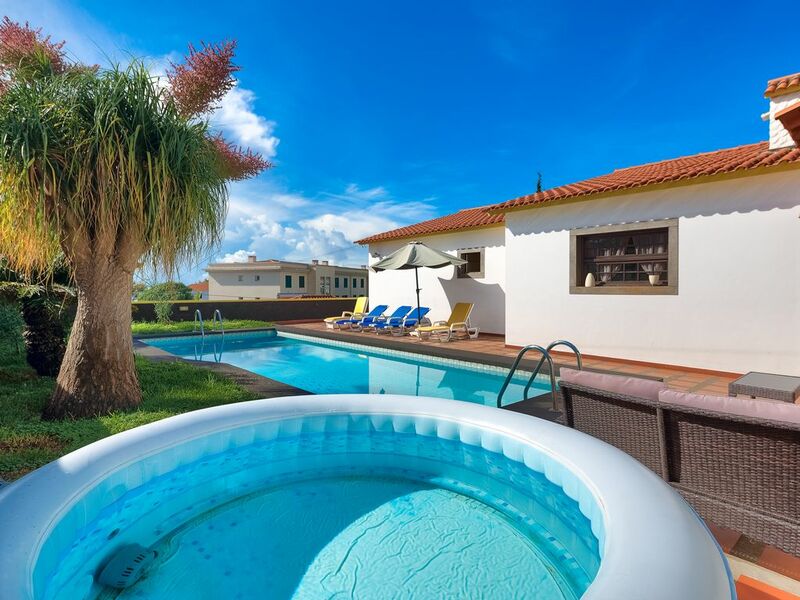 BUZZY Villa is next to madeira shopping center just 2 minutes away by walk ,very comfortable and calm down and it's rapidly becoming the place to live and to spend the holidays, for the most damanding people. The house is detached and set in well tended gardens with sun terraces for outdoor eating and sunbathing. It also has a BBQ area. Inside, the house offers spacious accommodation and is furnished to a high, contemporary standard. The master bedroom has a king size bed and large bathroom. The other 2 bedrooms has king size bed . 3 bathrooms have showers. The large open-plan living area has two sofas, Cable TV, DVD, video and CD players, and a large dining table. For the winter months, there is an oil filled radiators for the bedrooms. The kitchen has ample cupboard with granite worktops, an electric oven and hob, microwave and washing machine. There is WiFi available. The house is ideally situated facing the the sun all day the house is just 7 minutes from the city center and 8 minuted from old town.